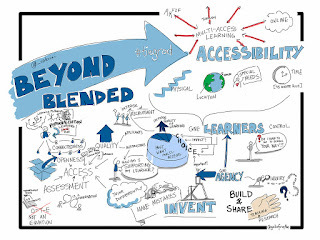 Mr. DuMont's 2015/16 Blog: Blended Learning....Why Not? 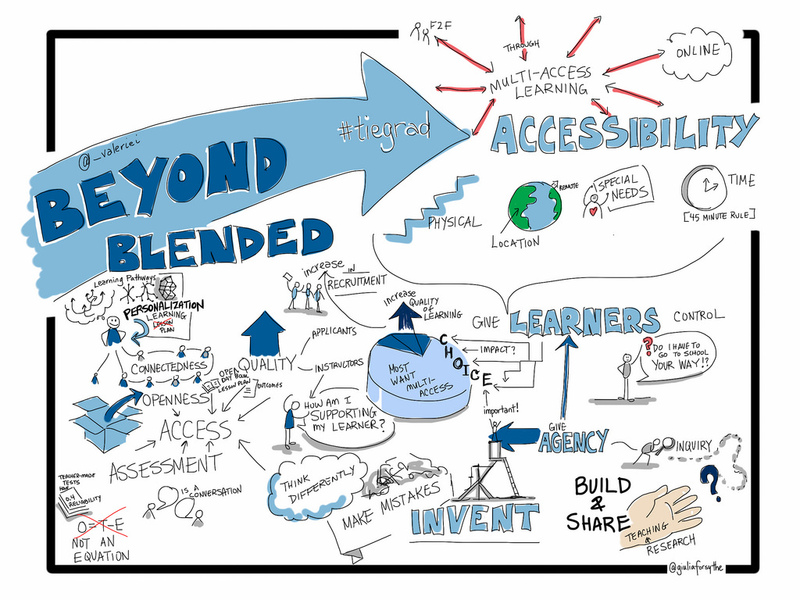 With my perspective around digital learning, specifically around flipping or blending the learning environment, I thought it would be interesting to look at why I should not. I have stated relentlessly, in the last couple years the multiple reasons for why I should flip/blend my teaching, but I have not every taken the time to find a reason not to. Similar to the other Kyle that's what this week has been about. disrupting the battle-hardened educational system with its solid methodology, academic backup, strong instructor figures, and developed intellectual and psychological bonds, is hardly a wise thing to do. I had to do some searching to find the origin of a couple of news reports, but the article Meet the Classroom of the Future was well wrote and is found through the NPR site. This article got some news coverage and had a couple other reports wrote about it. All in all, these articles broke down the 6 issues of a blended classroom as: Infrastructure, Mentality, Pace of Advancement/Amount of Learning, Negative Impact on Teacher: Overwork, Negative Impact on Students: Cognitive Load, Plagiarism/Credibility. Infrastructure is always going to be an issue, whether it is in terms of physical space, or digital one. This is never going to change, and the costs are always going to be there. My thought on this... Deal with it. The elected and hired individuals have a responsibility to ensure that the infrastructure is up to code/date. Mentality is a harder concept to 'solve'. This is because it deals with individuals perspectives and pedagogy around education and where they value their knowledge and their skill sets. To overcome this barrier there needs to be an appropriate amount of PD put into place before any technology initiative becomes school/system wide. Everyone needs to have a modicum of confidence and willingness to take on an initiative such as this. Pace of Advancement is an interesting concept to have to battle through. You want to ensure that your class is moving forward, while ensuring that each student is completing and understanding each task. This in my mind is more of a planning issue with an individual teacher. The assignments need to be chunked, and broken down so that you can have check ins with students in the face-to-face classes along with the ones who are predominantly online. I believe as educators we can not allow a student to go days, let alone weeks/multiple assignments or classes without checking in with them in some regard. Negative Impact on Teacher: Overwork is a big issue, especially in our political climate here in Saskatchewan with negative budgetary issues and scare tactics of prep time, or contracts being dismissed due to re-legislation. This is a serious issue, but I do not believe it is independent to a teacher engaging in a blended learning environment. My wife, who teaches with a more traditional classroom approach, brings home more "work" than I do. While I see it as menial, she explains that it is all about prep and making sure she can use her time in the building for the things that need her full attention, and she would rather bring home the photocopying, cutting, and prep work to do at home. All the while, I am on my phone checking in on my students and answering questions coming in from my LMS from multiple students about the homework due in the coming days. Negative Impact on Students: Cognitive Load is also a big issue, but similar to teachers being overworked, it is not independent to the blended teaching community. Teachers need to know their students and they need to adapt or expand assignments for individuals who need them. Plagiarism/Credibility is a constant issue with my classes at the beginning of the year. Students like to try to trick me, and get away with their assignments being rushed. I have developed a variety of tools to demonstrate how easy it is for me to prove the students have not done the work in a proper manner. From demonstrating how Google docs work, to simply copy and pasting sentences into a search bar and finding the documents they are plagiarizing from, or to the more complex ones of I have to search my own files for students work from previous years, but again it is a quick search and i am generally able to show the students, that I recognize when it is not their voice and I can usually prove it.